Printing from any device in any office, for us and for any guests working with us, has felt in the past like a pipe dream. Happily this moved one step closer to reality with the start of procurement of the new managed print service for Defra just before Christmas. This was a significant milestone for the UnITy programme and a huge step towards enabling Defra, and its organisations, to work as ‘one’ in a modern environment. Defra, through our internal UnITy programme, is overseeing the end of two large contracts with IBM and Capgemini in 2018. There is a desire across government to move to smaller, more flexible contracting arrangements. This is part of a shift towards working with a multiple supplier chain. In effect this means we will be working with more suppliers all working on delivering key aspect of our ICT services. The work UnITy is doing will provide Defra with a 25% reduction in its overall ICT spend. Not only will UnITy help us achieve those savings but also provide better value for every pound we do spend on IT. Essentially, we are looking to provide ‘more bang for our buck’. Considering what our contracts currently provide also gives us the chance to look again at how our ICT supports us on a daily basis – now and in the future. We want functionality, for instance, that prevents uncollected print outs to help meet our 2020 Greening government commitment to use less paper. We want to make sure that our ICT delivers for us, and we are not compromised or constrained by it. So, looking again at our contracts means we can try to fix some of the knotty issues that got in the way of us working together. In a modern organisation we should have ICT that supports the way we want to work together: collaborating; being fleet-of-foot, flexible and creative. During 2016 UnITy held a number of supplier days, signalling to the supplier market that we were getting ready to open for business. They were well received and there was a real sense of anticipation for the procurement opportunities. We have received encouraging feedback as a result of our engagement so far with suppliers. The view is that UnITy is ‘genuinely transparent, collaborative and wants to engage well with suppliers.’ Great to set our stall out as wanting to form positive and mutually rewarding relationships right from the outset. Working in a multiple chain of suppliers will be a new way of working for us. We will need to be far more hands-on, taking much closer ownership of the management, assurance and analysis than we are used to. This presents us with a great opportunity to ensure our contracts work well for us. Additionally, ensuring suppliers work well together is crucial. We can’t afford issues to fall between the gaps between suppliers. Creating a culture of shared ownership and accountability, all working together to fix a problem and ensuring the user has the best possible experience, is critical. The new managed print service is the first of the large scale procurements. We have more planned over coming months, including for new Hosting Services, Service Desk provision and Connectivity. Its not going to be quick, but it is going to be ground breaking for ICT in Defra and across Government. I, for one am excited to be getting closer to working in an organisation with ICT that works better. The last time we had print solutions given to us on Wide Format Devices / Plotters we had to swap all our HP devices for Canon ones. Will there be a CapG handover on Canon devices before they move on? Or are we thinking that we might move to another set of devices (esp. WFD) and if so, will there be a funded asset replacement programme for WFDs to help with that replacement? thanks for your question. 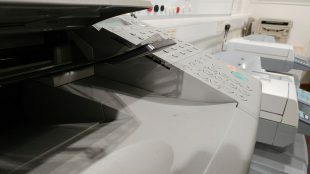 The new managed print procurement for Defra covers all the devices that are currently managed by Cap Gemini or IBM - this includes the Canon wide format printers and the new supplier will have an obligation to replace them during the life of the contract. They may of course use a different manufacturer but the supplier will need to fund this change.